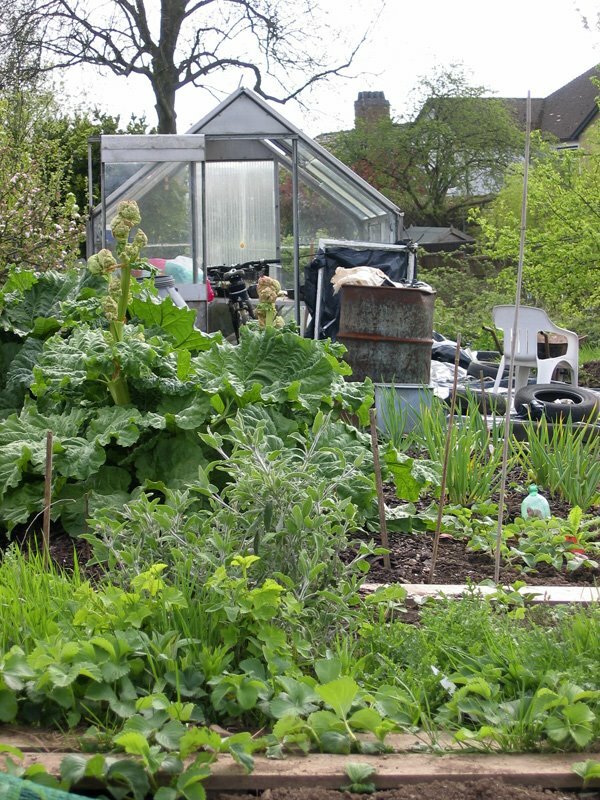 Only a small trip this weekend to the allotment to dig the patch for runner beans and to plant my broccoli seedlings. Karl has been pretty thorough with the digging recently and I have continued digging the plot today as well - seems to go on forever! 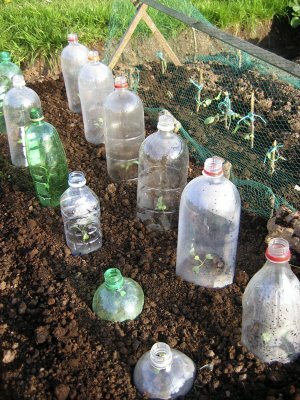 I planted my broccoli seedlings out under plastic bottles in the patch where the spinach and asparagus were laid and pulled out a few slugs which were hiding under the rhubarb. 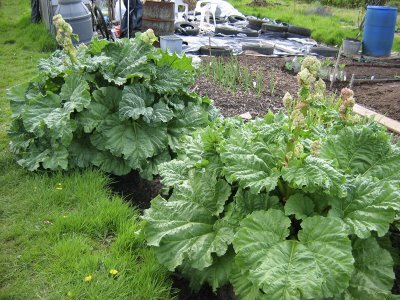 Speaking of the rhubarb - it definately needs a good trimming! It's got flowers shooting up on huge stems and it's quite imposing on the patch it's sitting on. Looks like we'll be giving it a trim this week? Karl has also planted his broccoli out but it's looking a little wind damaged. We're keeping fingers crossed tho. On a sad note - all the marigolds we planted the other week have been eaten!! They were all gone when I looked at the parsnip patch and it looks like slugs took a liking to them. Luckily I have some seedlings on the go in my new mini greenhouse at home! 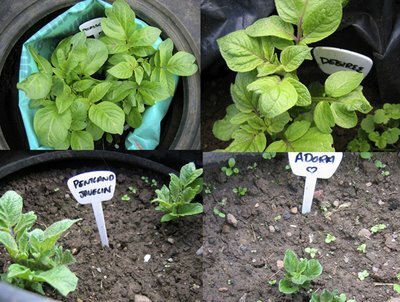 On the good side - the potatoes are doing really well!